May 18th and 19th, join us for the annual Tulip Bulb Dig & Sale! 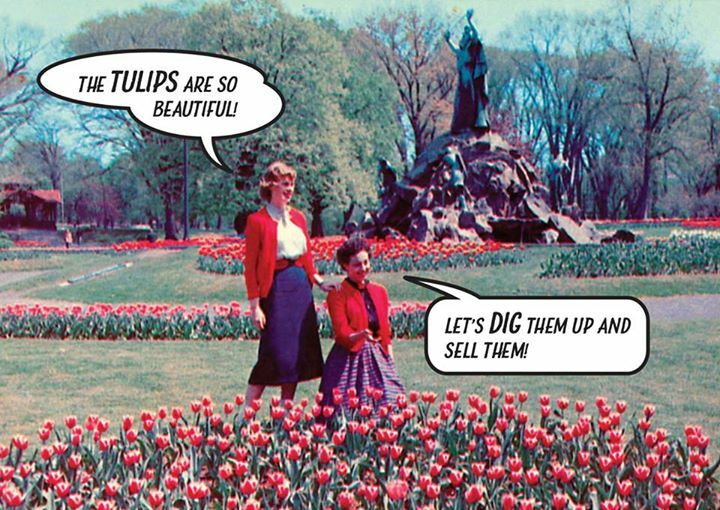 Saturday May 18 - Tulip Bulb Dig; 9:00 AM at the Moses Fountain. Sunday May 19 - Tulip Bulb Sale, 9:00 AM at the Lakehouse. $5 a bag (for 30 bulbs or so). If you help dig Saturday, you get the warm fuzzy feeling of volunteering AND you have first choice of the bulbs. Proceeds benefit Washington Park Conservancy's efforts to restore and improve historic Washington Park.